In a holiday movie season packed with nostalgic appeals to cinematic days gone by, The Artist stands out as a particularly dedicated pastiche: a story about the rapid decline of silent movies told sans dialogue. It rolls back movie technology to circa 1927 - before widescreen, before color, before sound - and yet feels like a fresh and immediately familiar expression of Hollywood's constant death-rebirth cycle. 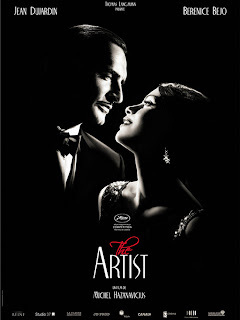 Borrowing liberally from classics like Singin' in the Rain and A Star is Born, director Michel Hazanavicius charts the opposing trajectories of matinee idol Jean Dujardin, who refuses to accept how "talkies" have revolutionized his profession, and spunky starlet Berenice Bejo, who rapidly ascends from background hoofer in one of Dujardin's silent films to the new leading lady of the sound age. As with any successful homage, Hazanavicius must delicately balance historical fidelity with more modern (i.e. darker) methods of storytelling. Dujardin and Bejo make a dashing pair throughout the five flirtatious years that follow their initial meeting at a lavish movie premiere, even as it comes at a great cost in the long, slow decline of Dujardin's acting career and the strain on his already shaky marriage. The depths of his despair are unexpected in a film this glamorous and sentimental. Decades of gritty realism and moral equivocation may have inured audiences to the highs and lows of old-fashioned melodrama, but here is a movie that brings it all back with blow after crushing blow. It would, at least, explain the inordinate number of cute dog reaction shots. 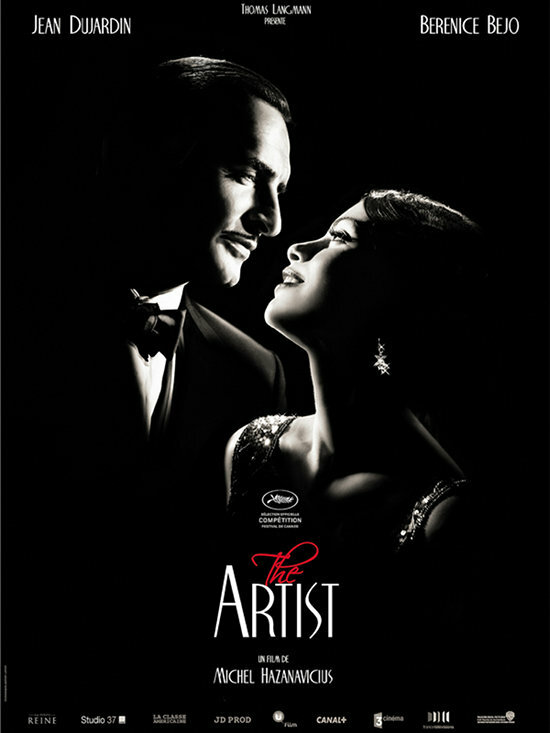 The Artist is by no means a gloomy film - ultimately, it's a crowd-pleaser and an airy confection with plenty of wry humor positioned to undercut the heavier emotional moments. Dujardin and Bejo both have a natural physical charm that easily garners them sympathy without having to say a word (John Goodman also delivers a great supporting performance as a harrumphing studio exec). The film tends to stall whenever Hazanavicius must add a barrage of intertitles to keep the plot moving forward, but Ludovic Bource's zippy Jazz Age score quickly puts things back on track. Though ultimately leaning on a series of contrivances and twists that wouldn't fly in most other films, The Artist endears itself by letting the audience know not to take it too seriously, lest that spoil the fun.